Fiona Ellington is a lawyer with a broad litigation practice with a focus on insurance & risk management, estate litigation and surface rights. She has appeared before the Provincial Court of Alberta, the Alberta Court of Queen's Bench, and has conducted hearings before the Surface Rights Board. Originally from Oswestry, England, Fiona moved to Edmonton in 2005 before commencing her studies at the University of Alberta. She received her J.D. (with distinction) in the spring of 2012. While in law school, Fiona volunteered with Student Legal Services. 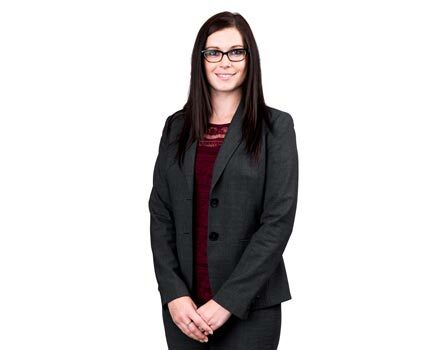 Fiona joined the firm as a summer student in 2010 and started articling with the firm in July 2012. She was called to the Bar in August 2013. Fiona is a former board member and secretary for SkirtsAfire Festival which has been celebrating women in the arts since 2012. She still supports the festival through sponsorship and by attending the festival each year in March. Duncan Craig would like to congratulate Fiona Ellington on her recent call to the Alberta bar. The partners are also very pleased to announce that Fiona has accepted their offer to remain with the firm as an associate. Fiona will join the firm's surface rights, insurance, and litigation practice groups.